Whether your goal is to run your first 5K or to tackle a marathon, your personal training plan will guide you there. It adapts to your fitness level as you improve and guides you with audio coaching. 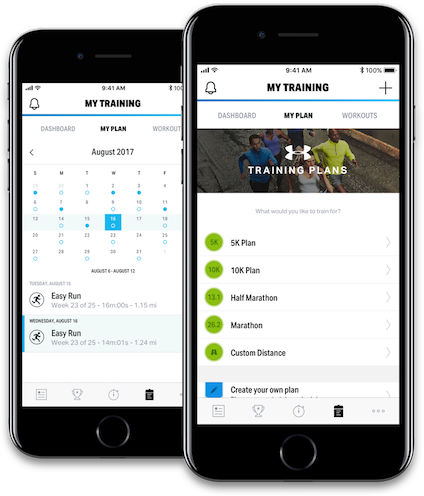 Download the app and go MVP to access all training plans to get started. No matter where you're starting from, you can create a plan that fits you and your needs. The plan reflects how much you improve over time and always keeps you on track. Audio Coaching will guide you through your run with audio cues so you never miss a beat. Every plan is designed to help you gradually increase your intensity so that your risk of injury is minimized.